The Las Vegas mass killing was a tragic and senseless event. While some of our nation’s political leaders predictably stump about the dangers of some firearms, or in the alternative, predictably continue the fight to protect our well-established second amendment rights, alcohol is killing nearly three times more Americans each year than guns. Romans322.com, a website that provides up-to-date statistics on how Americans die each year, indicates that from January 1, 2017 to October 5, 2017, a staggering 75,232 alcohol related deaths occurred compared to only 8,734 murders by gun. The Centers for Disease Control and Prevention reports that excessive drinking is responsible for 1 in 10 deaths among working-age adults aged 20-64 years. The CDC also reports the costs to our society from excessive alcohol consumption in 2010 alone reached an estimated $249 billion, or $2.05 per drink consumed by our legally aged citizens. A drink is defined by the CDC as 12 ounces of beer; 8 ounces of malt liquor, 5 ounces of wine or 1.5 ounces of 80-proof distilled spirits. Just as alarming is the effect excessive drinking has on our crime rates. According to the National Council on Alcoholism and Drug Dependence, Inc., 40% of all violent crimes involve alcohol and 37% of those incarcerated report they were drinking at the time of their arrest. Now, epidemiologists at the National Institute on Alcohol Abuse and Alcoholism report that problem drinking is on a disproportionately higher rise among our older adults. The NIAAA 40,000+ person study entitled Prevalence of 12-Month Alcohol Use, High-Risk Drinking, and DSM-IV Alcohol Use Disorder in the United States, 2001-2002 to 2012-2013 Results from the National Epidemiologic Survey on Alcohol and Related Conditions, detailed that high-risk drinking increased in every age category; however, drinking among older adults jumped an alarming 65% from 2002 to 2013. In a separate study by the journal Alcoholism: Clinical and Experimental Research referenced in an April 3, 2017 CNN article, its researchers indicate the increase in senior drinking could be a reflection on increased drinking by older women. The study details that in the US 20 years ago, 54% of men 60 and older were “current drinkers” while only 37.8% of women met that description. By 2014, both groups saw increases but women rose more notably with men at 59.9% and women at 47.5%. Dr. Marc Schuckit, a psychiatrist at the University of California, San Diego who wrote an editorial accompanying the NIAAA report entitled Remarkable Increases in Alcohol Use Disorders, makes a case that the United States has a crisis with alcohol use; the costs of which are about to get worse. Dr. Schuckit suggests that the people who showed the largest increases in alcohol abuse included older adults and seniors and those who often suffer from disorders with potential lifelong impairments in functioning (e.g., incapacitated, handicapped, etc.). Because older adults and those with impairments in functioning generally lack sufficient financial resources themselves and often rely upon public services and subsidies to meet their daily existences, their inability to drive themselves to an appointment or take care to reasonably seek out the most cost-effective medical services means that their use of emergency rooms and emergency care facilities will very likely rise. The natural result of an increase in emergency care treatment will be a subsequent increase in costs to taxpayers both through taxes and through higher insurance rates. When trying to identify seniors at risk of excessive alcohol consumption, the identifying characteristics are wide and varied and sometimes difficult to confirm. The symptoms are different in seniors than in younger adults. For example, the American Psychiatric Association Diagnostic and Statistical Manual of Mental Disorders (DSM-IV) indicates that a person who may be at risk of excessive alcohol consumption includes those who may fail “to fulfill major role obligations at work, school, or home.” Of course, criteria that involves employment may never apply to retired seniors. Still other warning signs include fatigue, irritability, insomnia, chronic pain, or impotence, but these are all symptoms characteristic of many older adults. Even medical providers can miss the warning signs. Often, doctors and nurses must first focus on a senior’s current, acute medical complaint and not on alcohol use or the patient’s long medical history. Even family members may miss the warning signs of alcohol abuse by seniors. Many are accustomed to mom or dad consuming alcohol when they were younger and think nothing of their consumption at an older age. Still others hesitate to address the problem believing that their family member should be allowed to find comfort in the final years of his or her life. But most experts agree there are some warning signs that are more glaring. Seniors who have suffered significant losses such as the loss of a spouse or family member, loss of employment and friends due to retirement, or a loss of mobility and health are particularly at risk. Seniors who have a history of alcohol or substance abuse should always receive careful attention for late-onset alcoholism. Mental disorders, clinical diagnoses and other mood and psychiatric disorders are also warning signs for those who may abuse alcohol. Seniors who become increasingly isolated; losing interest in social events, friends, family, and church are at risk. Family, friends and caregivers may also notice large numbers of empty alcohol containers or higher than normal bills and receipts. Todd Miller is a monthly contributor and regularly writes and speaks on various legal topics including bankruptcy, estate planning, probate and elder law. He formed the Law Office of Todd Miller, LLC, 1305 Southwest Blvd., Ste. A, Jefferson City, Missouri in 2006 and represents civil, criminal, business and governmental clients. Most recently, he was recognized by the Missouri Bar in its Best of CLE Spotlight for his contribution to educate Missouri lawyers and in 2016, he received the prestigious Adviser of the Year award by GolfInc. Mr. Miller earned his juris doctorate degree from the University of Missouri School of Law in 1999 and graduated with honors from Lincoln University in 1991. You may find him at www.toddmillerlaw.com (573) 634-2838 or on Facebook, LinkedIn, and Twitter. 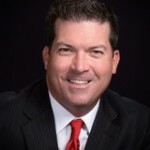 Todd Miller is the Senior Partner of the Law Office of Todd Miller, LLC, a litigation firm in Jefferson City, Missouri, (www.toddmillerlaw.com). To date, Mr. Miller has filed or supervised property tax appeals in twenty-one (21) states and he writes and lectures on the topic of property tax reduction and property tax administration for commercial, residential, and industrial property owners. Previously, Mr. Miller led a specialized tax group for Deloitte & Touché, LLP in Austin, Texas where that tax group focused on property tax oversight and reduction for golf courses and other commercial and industrial property owners nationwide.